The KERN Group's corporate network is an international full-service provider in the field of foreign-language communication. Its range of services includes translation and interpreting in all world languages, terminology management, language training for corporate customers and private individuals, compilation of technical documents, localization of software and websites, multilingual desktop publishing and graphic design, as well as printing and distribution of foreign language documents. The KERN Group combines and enhances the expertise and experience of its specialists in order to be able to offer you a first-class all-round service. In doing so the KERN Group provides the highest level of accuracy and quality, absolute reliability, and individualized service. Extensive experience and customers have expanded our group of companies, ensuring that there is a variety of branches available to help you. The KERN Group always keeps pace with the drive towards globalization and the ever-changing world of digital media. Thanks to a young and dynamic team of employees, continuous innovation, and constant growth in the German and international markets, the KERN Group is always opening itself up to new possibilities for better team work and communication. As a family business with over 45 years experience and over 50 branches worldwide, the KERN Group is always on hand to offer you a comprehensive range of foreign language services. Since its foundation you have always been the focus of the KERN Group. Defined contact partners and fast access to expertise and experience: The KERN Group guarantees that projects will be worked on and completed reliably and competently. With more than 50 branches, the KERN Group is always close by. Qualified and motivated team members are one of the keys to the KERN Group's success. It is our team members that make a significant contribution to your satisfaction through their work. It is because of our competence, motivation, services and work with you that the KERN Group is able to realize your corporate goals. graphic artists and DTP specialists. Alongside their training and experience in their respective fields, it is also their additional specialist knowledge of the economy, technology, law, science and finance which benefit you. Their knowledge and reliability contributes to the strength of the KERN group. Your competent, motivated and friendly KERN language team is always available to respond to your questions and wishes. In the era of an interlinked world, the KERN Group's vision is to implement foreign language communication at the highest level of quality. It has been successfully serving industry and economy for more than four decades as a healthy, independent family business. Our comprehensive, flexible services in foreign language communication has given the KERN Group a reputation reaching far beyond the borders of Germany. It offers a diverse and innovative range of services. However, in order to meet the challenges of a changing world, healthy growth and continuous further development are crucial. The KERN Group's structures are therefore customer-friendly, flexible and forward-looking. The KERN Group thinks and behaves in a customer-focused manner by listening and providing comprehensive customer consultation. It has a fair, tolerant and friendly working culture. It promotes the professional and personal development of its team members. The KERN Group's most important objective is your absolute satisfaction. Using state-of-the-art resources, we work cost-consciously and are guided by the latest in technological progress. In the interest of its customers, suppliers and team members, the KERN Group strives for a strong market position. As an independent family-run business, we would like to sustain and develop our own corporate identity. The KERN Group is well aware of the high requirements on the market and strives for long-term customer satisfaction. We seek a dialogue with the customer and take on your suggestions in order to optimize our processes and resources. The KERN Group would like to fulfil your wishes and quality standards in an objective and user-oriented manner. As your long-term partner, the KERN Group wants to do everything possible to contribute to your success. Your success is also the KERN Group's success. The KERN Group's team members provide a significant contribution to the company's success thanks to their competence, motivation and performance. They demonstrate personal initiative, courage and adaptability every day. The KERN Group is constantly further developing its processes and resources. By working in cooperation with you, it establishes innovative concepts that contribute to the realization of your objectives. The KERN Group makes clear decisions, sticks to its word and keeps its promises. In a rapidly changing environment, it provides a reliable constant, resulting in long-standing successful customer relationships and partnerships. With dedication, a wealth of ideas and professional effort from all team members, the KERN Group has the opportunity to establish itself as a market leader in foreign language communication. KERN is celebrating its 45th anniversary. For 45 years KERN has been working together with its customers from all branches to face the challenges of internationalisation. While the focus of business activity in the early 70's was still on foreign language print products and translations, KERN now offers a full service range in translation, interpreting, language training, terminology and translation memory management, software localization and websites, as well as multilingual desktop publishing and advice and training in these areas. In 2013, the largest number of words since the business was founded were translated by specialist translators and interpreters within KERN's network (over 280 million words). Founding of KERN GmbH by Manfred and Birte R. Kern. Headquarters in Frankfurt am Main. Main focus of business activities: foreign language marketing and print materials, translating and interpreting. Opening of the first branch in Düsseldorf. Expansion of services to the leasing of interpreting equipment as well as foreign language instruction. Today the KERN Group is active in over 40 locations around Germany. Foundation of the first international sister company in Paris (KERN SARL, Traduction et Interprétation). Further subsidiaries in New York, London, Lyon, Hong Kong, San Francisco, Amsterdam, Salzburg and Vienna. The KERN & Partner Werbeagentur GmbH undertook the development of foreign language advertising materials as well as multilingual desktop publishing. Renaming of KERN GmbH to KERN Global Language Services. First use of translation and terminology management tools, now server-bound installations of Across and SDL. 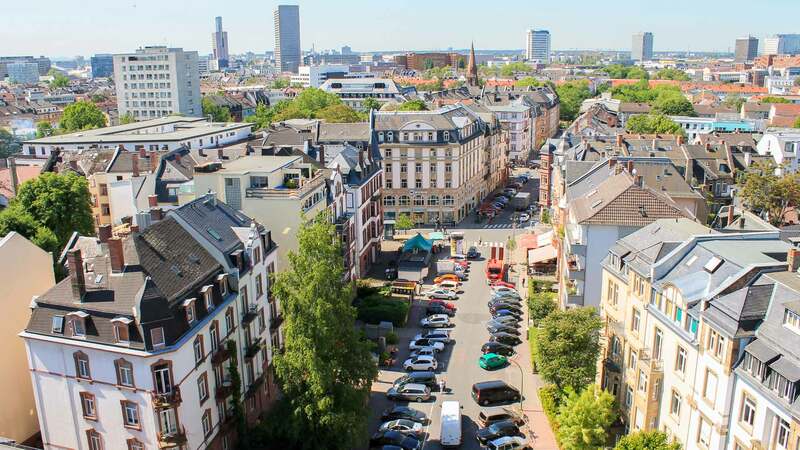 Foundation of KERN AG IKL Business Language Training & Co. KG through the integration of IKL Business Language Training GmbH (today KERN Training) Consolidation of all Frankfurt offices and classroom facilities at current headquarters at Kurfürstenstraße 1 in Frankfurt am Main. The self-developed, customer-specific translation and terminology management portals clicktranslate™ and term4client™ are established. Certification of the KERN IKL Business Language Training through the Technical Control Board in Hessen, accreditation and admission regulation, promotion of work, as an accredited educational institution in accordance with the SGB III. The language test "lingoscore™" is developed for personnel development in companies. The customer-specific, browser-based translation management portal "portal4client™" is launched. Here, you can find an overview of all translation offices operated by KERN Global Language Services. News and updates on KERN. Here, you can find press releases about KERN. Find a job or internship as translator, interpreter or language trainer at KERN. KERN is held to the international social responsibility standards of various initiatives and certifications. Just an excerpt from the list of businesses, for which we have successfully completed projects, as well as customer endorsements. Brochures, information material and apps can be found in the download area. Frequently asked questions about translation and interpreting. The following is an overview of the most important countries and their languages.